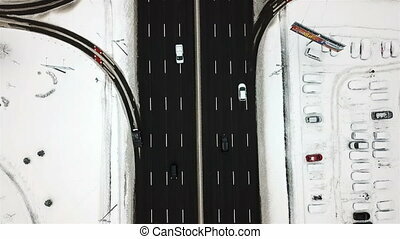 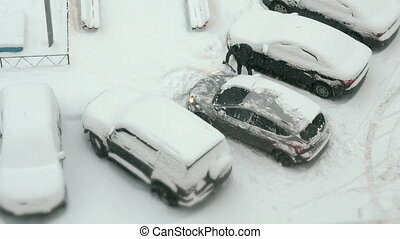 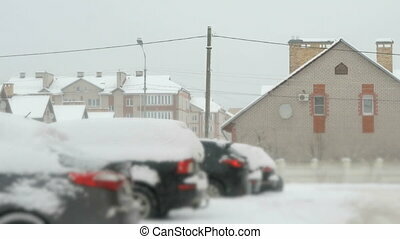 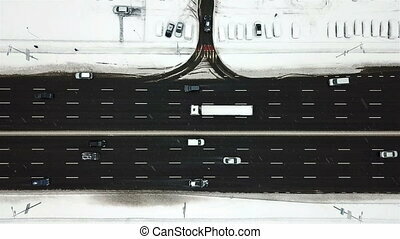 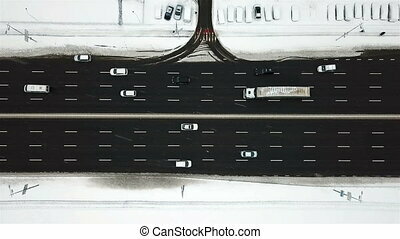 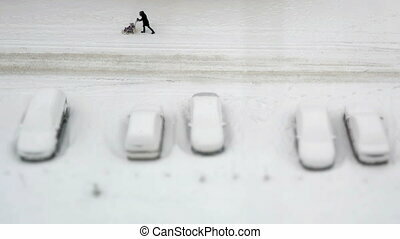 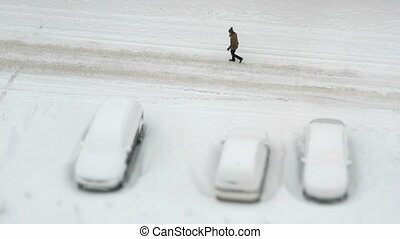 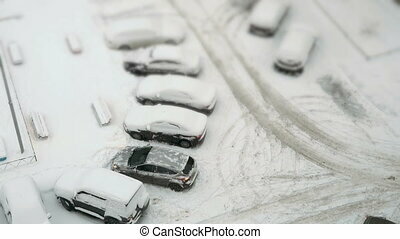 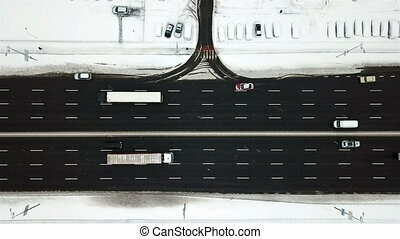 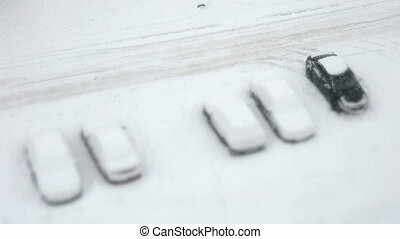 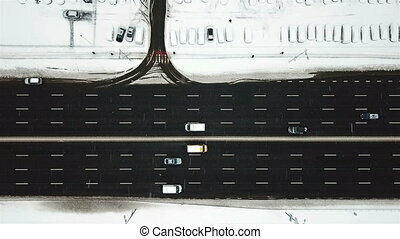 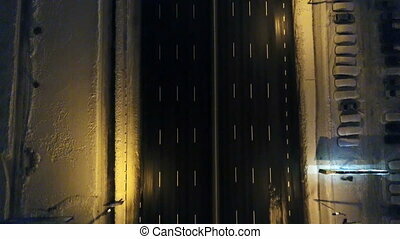 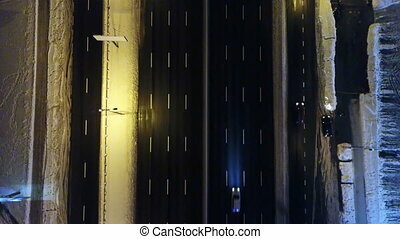 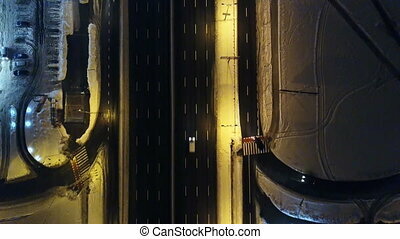 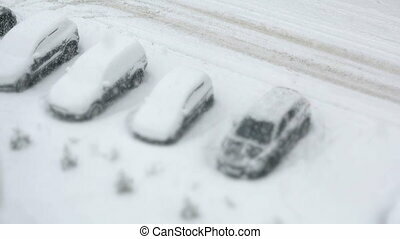 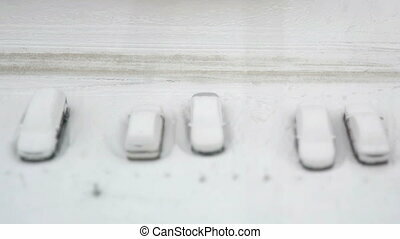 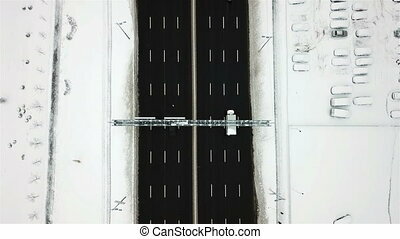 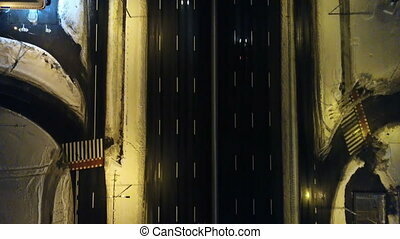 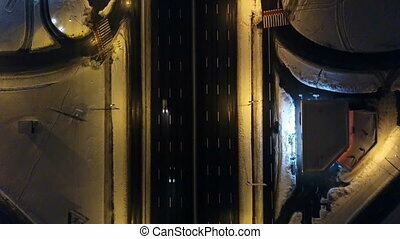 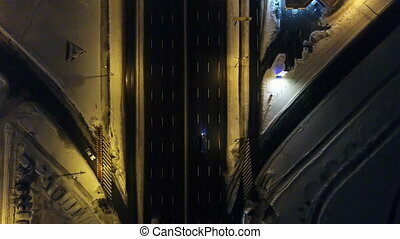 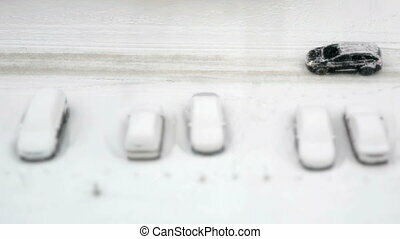 Aerial view snow-covered road with cars in winter at night. 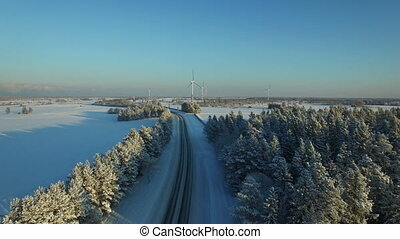 aerial view at the winter road with windmills. 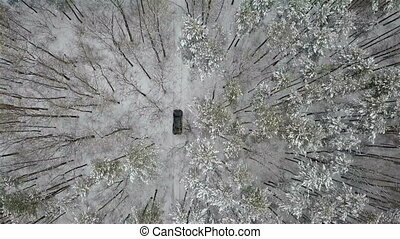 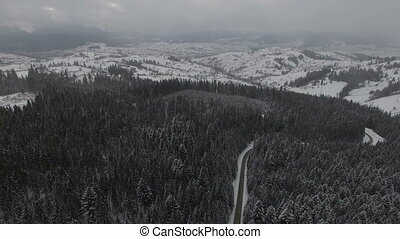 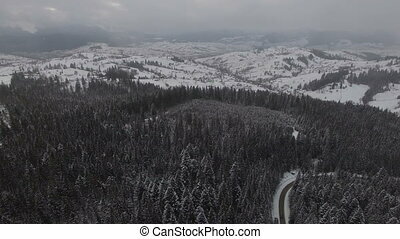 Road in the winter forest with driving cars. 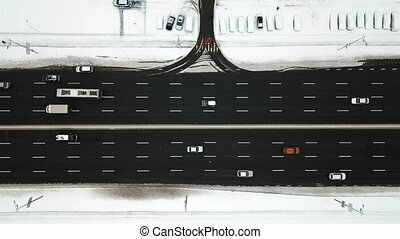 Aerial panoramic view. 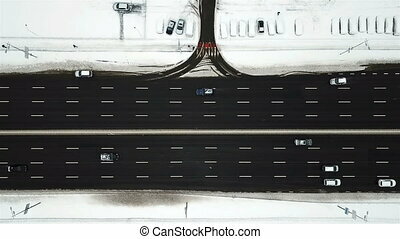 Vanishing point perspective.